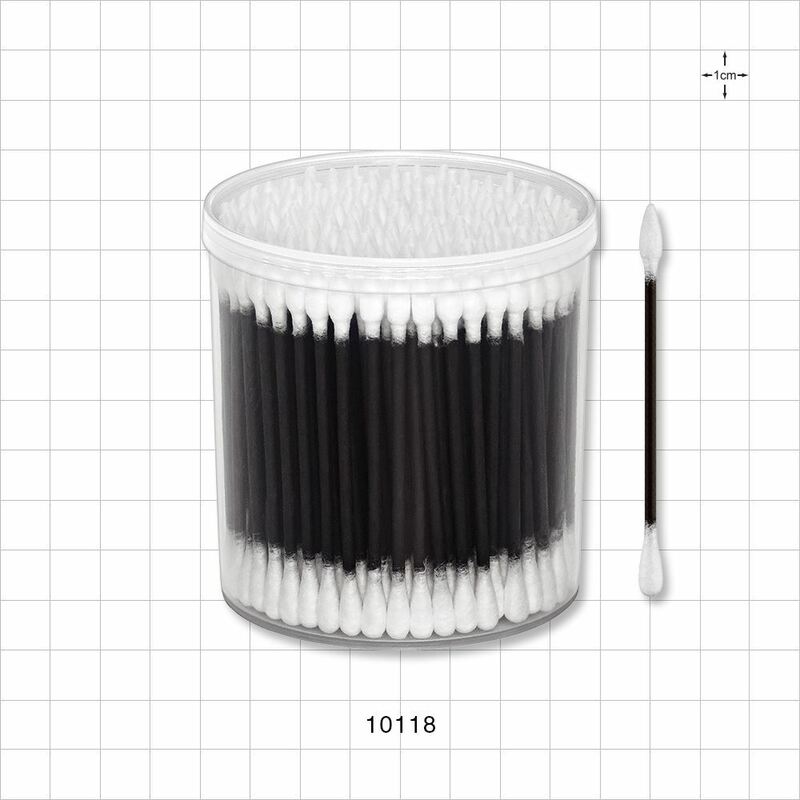 These white point/round tip swabs feature stylish black paper handles and tightly wound cotton heads for a clean, precise application. 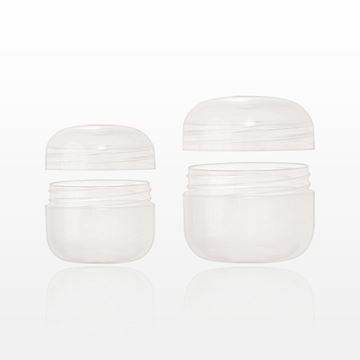 The convenient, plastic cylinder container holds two hundred swabs. 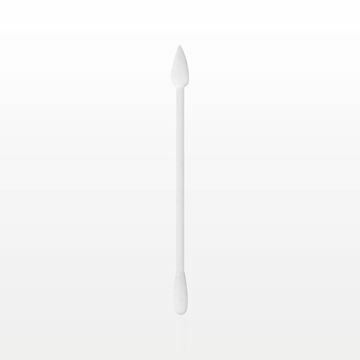 Safety Information: Do not insert swab into ear canal. Entering the ear canal could cause injury. 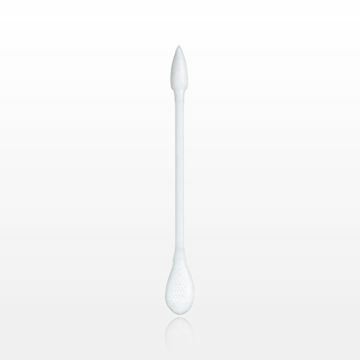 If used to clean ears, stroke swab gently around the outer surface of the ear only. Keep out of reach of children. 10,000 Cylinders to Add a Printed Label. 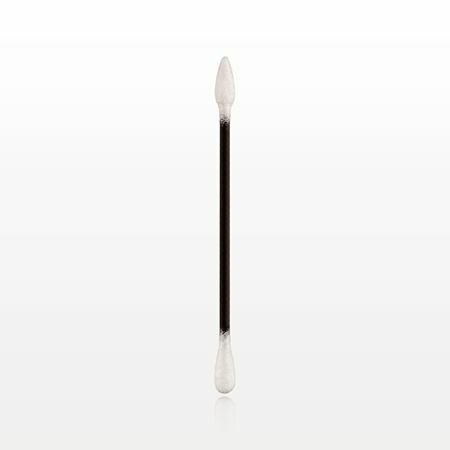 This multi-purpose cotton swab with plastic handle is excellent for makeup application, touch ups, testing and sampling. 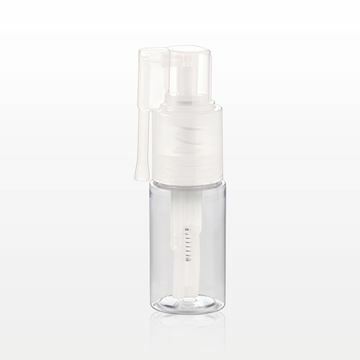 Use the point tip side for detailed application and the textured flat oval tip side for picking up color or removing nail polish.  Safety Information: Do not insert swab into ear canal. Entering the ear canal could cause injury. 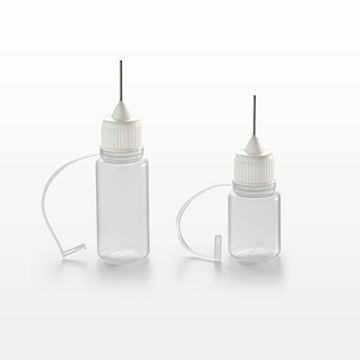 If used to clean ears, stroke swab gently around the outer surface of the ear only. Keep out of reach of children. 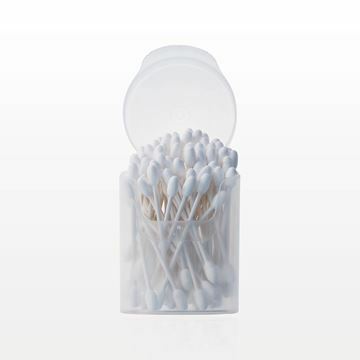 Luxury tightly wound point/round white cotton swabs provide a clean application. 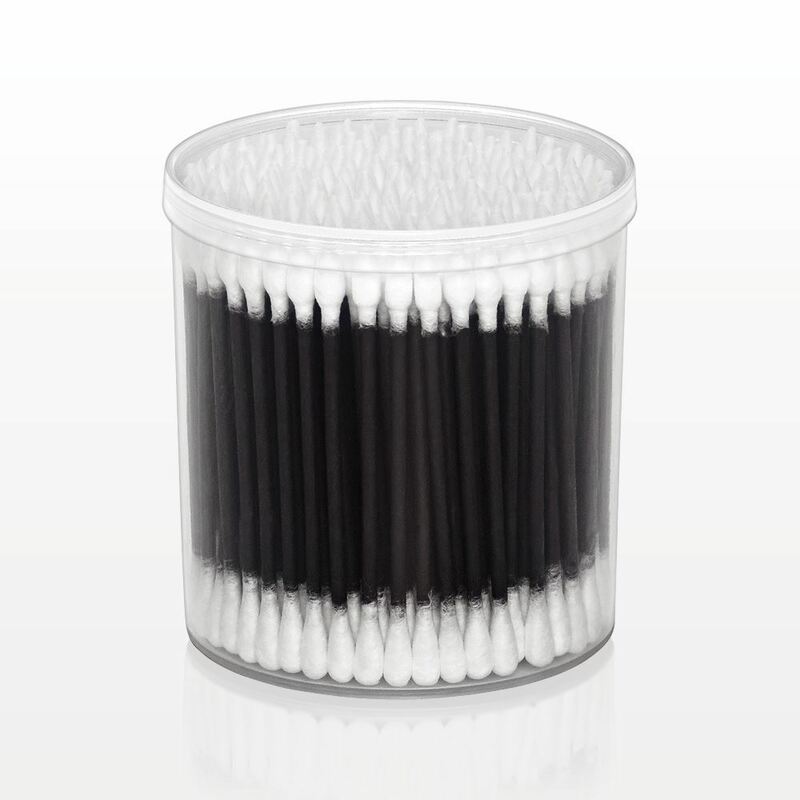 The black paper shaft looks attractive when you display these swabs on counter tops or workspaces.